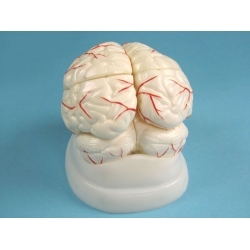 Model of a human brain showing major blood vessels mounted on base. Made of PVC with 8 detachable parts. 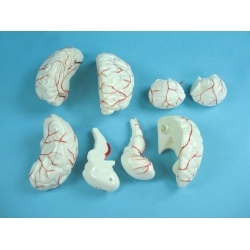 Description: This model facilitates the medical students to get a correct understanding of the external features of the brain and its arterial supply as a whole, as well as the relations between their component portions. 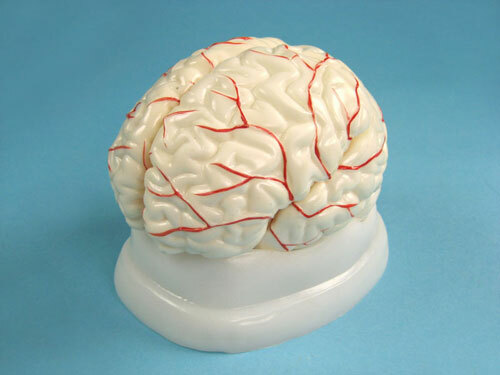 External features of the brain: cerebral hemisphere, brain stem, cerebellum. 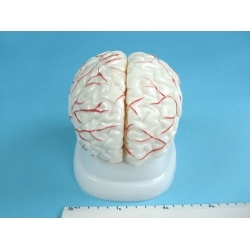 The arterial supply of the brain: sources, vertebral, internal carotid arteries, arteria supply of the cerebellum and cerebrum.